While paying a childhood friend a visit, Cathy becomes emotionally involved with the girl's father, unaware that the powerful shipbuilder has hatched a scheme to take over virtually all British shipbuilding production in order to prevent a bid for a nuclear-powered vessel to fall into foreign hands. 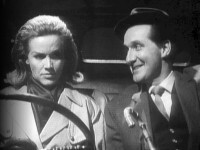 Steed has the formidable task of convincing Cathy that her "Handsome Harry" has murdered the father of her girlfriend's fiancée to fulfill his plans. Occasionally bogged down in ponderous vessels of dialog, this is a standout if only for Cathy's love interest—it's always effective to give the emotional pot a stir once in a while, particularly when it involves a lead character. Steed is especially crass and chauvinistic this time around, although we do see a glimmer of compassion for Cathy after having to arrest her lover at gunpoint. Technically the episode is quite solid, save for a very strange music cue as Steed enters via Cathy's bedroom window—but the subsequent dialog is the mother lode of best lines. 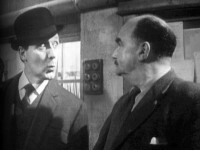 Some scenes were pre-recorded on 14 March 1963 in advance of the main recording. Cathy to Steed as he enters her window: "Go out and come through the front door like a civilized human being." Cathy, defending her Handsome Harry: "He was with me when it happened." Steed: "Well, he must have had his hands full."